With the Affordable Care Act (ACA) in effect for the past several months, many people are wondering how it applies to their tinnitus treatment. It’s a good question, and one that deserves some attention – from policy holders as well as politicians on the national scale. Historically, devices to treat tinnitus have received spotty coverage. Some networks and providers cover some or all of the testing, but not the actual purchase of the equipment. It’s a disappointment given the number of Americans – more than 50 million – who suffer from the affliction. But with the ACA in its infancy, changes on coverage of devices and treatments for tinnitus could happen. There are a number of proposals in Washington to amend the ACA. Some cover hearing aids. While that isn’t applicable to many tinnitus treatment devices, it’s a step in the right direction. Once hearing aids and other similar treatments get covered by the ACA, it’s a shorter leap to add tinnitus treatment coverage as well. If you want to see tinnitus covered by the ACA – whether you are an audiologist or a patient – it’s time to speak out. Contact your representatives and let them know that you want/need coverage, and why it’s important. It was a groundswell of interest that led to the ACA in the first place. 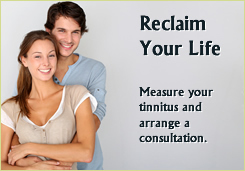 It could take another to get tinnitus treatment covered.